Happy 2015!!! Since this is my first post of this new year, I thought why not be a little different from the usual. So herein, I’m going to reveal my favourite beauty product, something that I’ve been using for a while now and is undoubtedly, my miracle product! 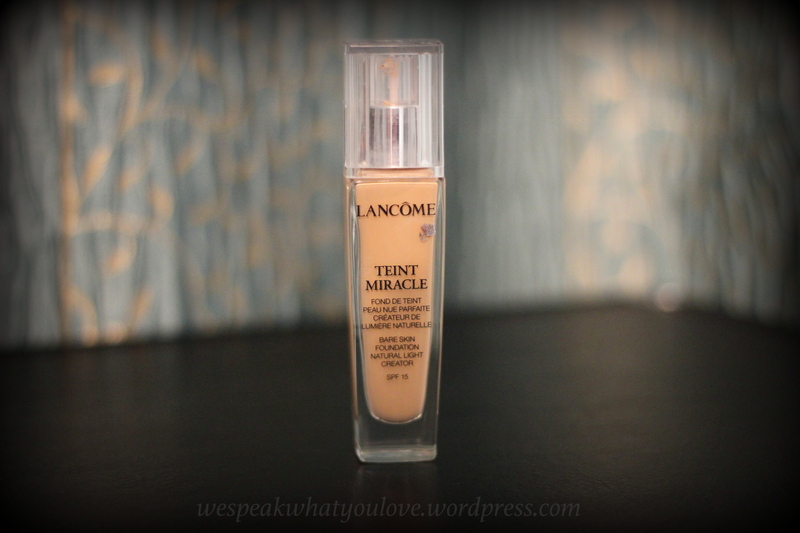 Lancome foundations have always failed to disappoint me, be it Teint Idole Ultra or the Teint Miracle. I love them for their light, airy texture, thin consistency and the perfect amount of coverage. When applied, Lancome’s Aura-Inside™ technology enables the complexion to appear lit from within making it visibly flawless. Since, it is a very lightweight foundation, it spreads seamlessly on the skin and does not feel dry or cakey even after hours of application, with or without primer. It provides a good medium-full coverage and can be used for almost all skin types. Personally, since I’m blessed with a no-problem skin, I often use this product alone with no concealer and absolutely love the coverage and glow that it gives. 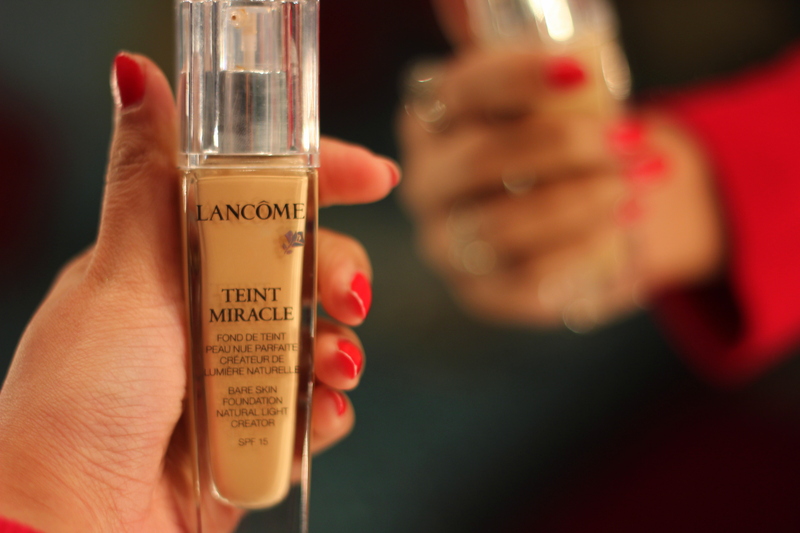 Lancome Teint Miracle gives a natural finish to the skin that makes the skin look dewy and flawless altogether. Having a sheer texture, this is one foundation that does not clog the pores, lets your skin breathe and is great even for those with sensitive skin. Apart from a great glass packaging with a pump dispenser that pumps the right amount of foundation, Lancome teint miracle has SPF 15 that protects the skin from UV damage and does not cause breakouts. See I’ve used it here. This is one fantastic product that I’ll continue to purchase and recommend to all of you who have been looking for the right foundation but haven’t found it yet. Go grab yours today! Love your post! I think I’ll ask a sample next time I go to Sephora – everyone is raving about this foundation! There is no greater feeling than finding your perfect foundation! Congratulations! Loved this post.